Перейди по ссылку и поставь лайк за нашу коллекцию! Для нового 16-го выпуска «EJ» русская певица Полина Гудиева, которая записала вместе с Эминемом песню «Legacy» для его альбома «The Marshall Mathers LP2», дала интервью. 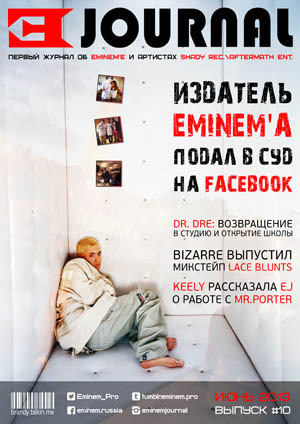 Пятнадцатый выпуск нашего журнала об Eminem’е и артистах лейблов Shady Records \ Aftermath Entertainment. 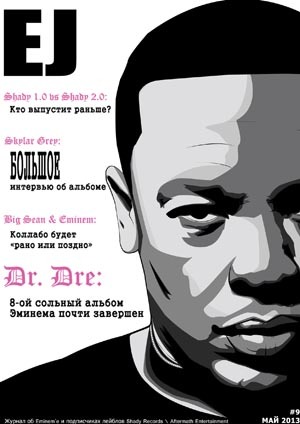 Последние новости об Эминеме и артистах Shady Records — в нашем мобильном приложении. Установи бесплатно в свой телефон на Android! И будь в курсе последних новостей! Клуб ценителей творчества американской певицы, автора песен, музыкального продюсера, гитаристки и пианистки — Skylar Grey. 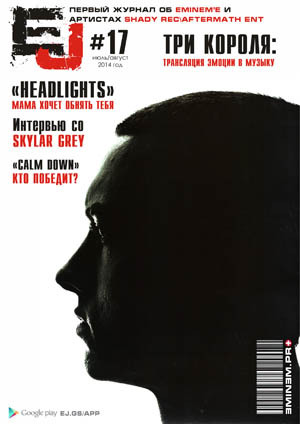 Самые свежие новости об Eminem'e. Подпишись и будь в курсе! May 9, 2000 on Eminem’s official website there was announced important news. «Expect some major changes in the upcoming days. Finally, we have a new format. I know, it will happen in a minute, but it’s worth of waiting. New pages, more updates, more articles. And the site administrators will still be our friends from Hip Hop Site. But everything will be much, much bigger,» a news message was saying. Before «The Marshall Mathers LP» album was released, all Slim Shady fan community was in anticipation of his new creation. 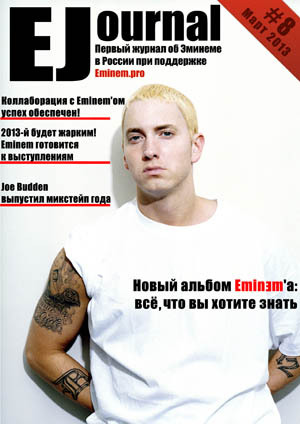 In mid-May Eminem.Com received a minor update in the style of the cover for the upcoming album. It was a simple splash-cover, against which it was shining the first “Amsterdam» cover. Initially, Eminem’s second album was supposed to be called «Amsterdam». This photo was taken in Amsterdam at the docks. To create MMLP2 cover they invited photographer Jonathan Mannion. Walking in the gang neighborhoods of Los Angeles, Jonathan along with Eminem began to take pictures. Made of different shots, Em tried everything. Later, the album title was changed and it became clear that the disk would be about Eminem. Then, it occurred to Jonathan to do a photo shoot on the background of Eminem’s old home. «Let’s go to Detroit, we need to get back home». Mannion made some interesting shots on the steps of his [Eminem] own home. In consequence, one of these images became the cover of one of the most beloved Marshall’s album, and another picture was used to design a new version of Eminem.Com site. 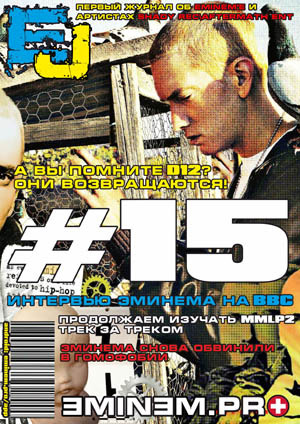 We are glad to present you the second part of our #SR15 project: an accurate and fully working copy of Eminem.Com site of 2000. In the Russian version you can find translated the entire news archive, as well as the sections «bio» and «gallery». This is an exact copy. We left unchanged the website code and graphics. When creating the site it was used fashionable at that time Flash technology. Go ahead! 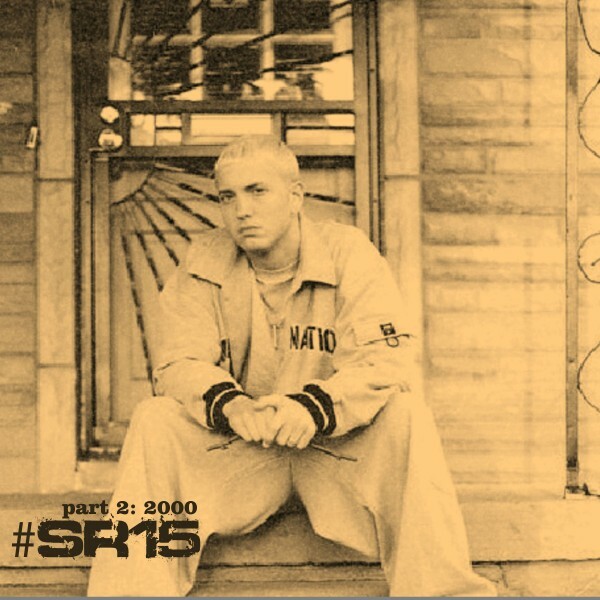 We are going back to 2000 and times of «The Marshall Mathers LP» album. It is gonna be interesting!